This is Pablo Ablanedo's second leader recording for Fresh Sound New Talent. The critically-acclaimed "From Down Here" has earned him a place alongside the great young jazz composers of his generation. Originally from Argentina, Pablo recorded this album in New York along with a host of other excellent young jazz players, who some will recognise form their recordings on the FSNT label: Chris Cheek on saxophones, Taylor Haskins on trumpet, Ben Monder on guitar and Fernando Huergo on bass. "Today it may seem odd to name an album "Alegria". I would just like to mention that the name of my work, "Alegria" (Joy), alludes to the happiness of creation. It refers to an intimate and jubilant space in my soul that I try to cultivate and care for each day. It is also a place where I find shelter, and that protection leads me to action. When I finally finished this work, the idea of resistance by using joy as a shield lingered, so I decided to keep the name for this CD. Here is this music, like a barricade of hope for these times in which we all live." All tracks composed by Pablo Ablanedo, except #7 composed by Ernesto Klar and Pablo Ablanedo. ****1/2 in Down Beat: "With his latest effort, Argentine pianist/composer Pablo Ablanedo pronounces a sense of joy. In the liners the artist emphasizes that this work, "alludes to the happiness of creation." To that end, Ablanedo and his octet disseminate a set of emotive musings via a Spanish-tinged luster combined with polychordal horn charts and more. He indisputably conveys a sense of optimism throughout these superbly constructed theme pieces--often complemented with a symphonic edge--and memorably tuneful arrangements. Featuring trumpeter Taylor Haskins" echo-laden preludes, guitarist Ben Monder's mid-toned lines and the band's gallant rendering of Ablanedo's bravado-style horn charts, Alegria is partly about contrasts. Ablanedo serenades life within these multi-hued works, awash with sultry Mediterranean motifs and fused with elements of tango and stately choruses. Drummer France Pinna emulates castanets in support of Haskins" trumpet solo on "Una Mas," as the band minces discreet elements of flamenco with modern jazz inclinations. And there lies the beauty of it, as Ablanedo triumphantly bridges the gap between classically oriented austerity, Spanish romance and persuasive, jazz-based ruminations. With "La Vida Sigue," the band engages in a contrapuntal-type ostinato vibe interrelated with punctual horn charts and lamentable interludes. Equally important is the leader's incorporation of climactic overtures in concert with bustling jazz grooves and stunningly attractive melodies. In addition, the soloists often engage in chirpy dialogue, amid heated movements and supple flows. With his second release, Ablanedo's personalized colloquialisms shine forth in a grand way." - by Glenn Astarita, Down Beat, Sept 2003. "In the photo included with Alegría, the Pablo Ablanedo Octet resembles a nerdy and decidedly square bunch. Their music, however, has no equal in the market, patterning highly urbane musical concepts and compositions, coupled with advanced ensemble work and superior performances from all musicians. The leaders ethnic background is unmistakable, although one must leave any preconceptions about the possibilities afforded by such a coalescence of jazz, classical and Argentinean popular, folk and cultured music. On Una Más, or Another One, there is a latent urgency experienced through an increasing degree of intensity. Pairing the writing with highly effective tension and release sections of attractive percussive coloring leads to a highly versatile and forward-looking drum solo by Franco Pinna, whose earlier lardy playing with the bombo legüero introduced an extended solo passage by the excellent Taylor Haskins on trumpet. The latter has superb control of his breathing, a breathy tone with ample emotive, harmonic, melodic and rhythmic data to process the complexity that characterizes this remarkable production and its distinctive sound. Being Argentinean means that Latin American aesthetic surrealism and the characteristic penchant for melancholy will rank high in the harmonic and melodic structures of Ablanedos compositions. On both Coral and La Procesión, respectively meaning Chorale and The Procession, there are extended ruminations of brooding nostalgia that amaze in interest rather than bog ones emotions down. One can actually see and feel the procession inching slowly towards their unidentified, yet instinctively known destination. Harmonically and melodically privileged playing characterizes both of these humane and stately pieces. 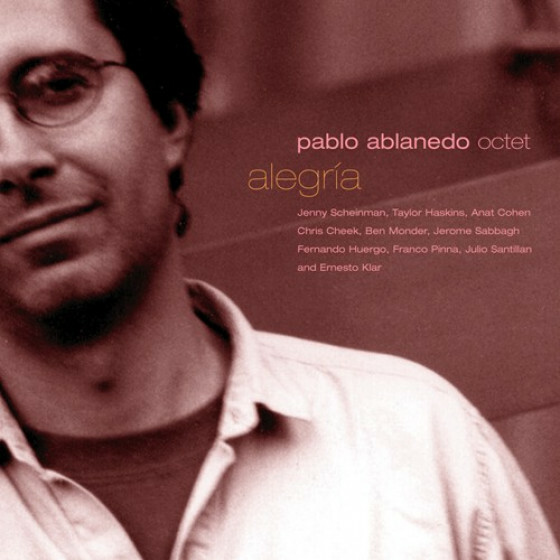 The Pablo Ablanedo Octet merits many other words of praise, including a more rigorous comment on Jenny Scheinmans impressive violin work, the remarkable arrangements and compositions, as well as the endemic capacity for the tunes to embody their thematic outlook. Together and on their own, these musicians are simply impressive, as this is challenging material that demands restraint, good taste, discipline, an expansive expressiveness and technique that can only be gained through experience." arcs for his improvisers --- extended forms that transcend the pop song formal conventions of even the most adventuresome jazz. And, yes, he does include plenty of tango, zamba, and chacarera." "Avishai Cohen played most of the Octets live rehearsal concerts, but family problems prevented him from making the record dates. He would have fitted in so naturally. Pianist-composer Ablanedo is another major talent from Argentina and this NYC recording features his countrys finest plus Haskins, Scheinman , Cheek and Monder, all of whom have featured solos. The music is majestic. Proud, optimistic and spiritual, a mixture of jazz, modern classical and the most soulful of ethnic Spanish sounds and rhythms. With the exception of Klars distracting electronic experiment using Ablanedos voice mouthing part of his countrys national anthem (El Grito Sagrado), all the music is by the leader. Three of the most impressive compositions are over 10 minutes long. The striking, fanfare-led title track, the Spanish word for Joy, is dedicate to Stravinsky and, despite its message of hope, would not sound out of place at a funeral. The slowly moving Procession has pastoral overtones, with Sabbaghs soprano solo particularly poignant. Chris Cheek is equally effective on Magic Spirit, Naïve and the flamenco-flavoured closing track, And Like This He Goes , where Monder selfeffacing solo adds to the melancholy mood. Theres an impression by Haskins of what Miles might have brought to Lux and Chorale is a gorgeous extended work, featuring the understated, but important contribution by Jenny Scheinman. You may dont like all this music, but most of it is magnificent and will stand the test of time. Respect to Señor Jordi Pujol for giving the talented Ablanedo the necessary budget to do his work justice. Otro argentino lejos del país. Hace años que Pablo Ablanedo se encuentra radicado en Boston. Como tantos otros, llegó en su momento para estudiar en el famoso Berklee College of Music. Y a juzgar por el inmenso trabajo que despliega en Alegría, debe haber sido un alumno aplicado. Pablo se encargó de escribir las partituras para cada uno de los instrumentos del octeto. El resultado es un excelente disco de jazz que apela a procedimientos compositivos clásicos y a una saludable preponderancia de ritmos folclóricos autóctonos. Hay mérito en esta síntesis. Las líneas melódicas son claras y se graban en la memoria gracias a su repetición alternada por parte de los diversos instrumentos. El esquema de llamada y respuesta es típico de la tonalidad clásica, pero Ablanedo demuestra una asombrosa facilidad para construir cánones y contrapuntos que aprovechan la ductilidad tímbrica de los ejecutantes. La melancolía se adueña de los temas lentos. Aquellos más acelerados, en cambio, coquetean con ritmos tradicionales como la chacarera y el malambo. Abunda el espacio para los solos y algunos son especialmente notables. Mención especial para el solo de violín de Jenny Scheinman en Coral, de una ductilidad y expresividad tan extraordinarias que lograría emocionar hasta a las rocas. Pero es en la perspectiva de conjunto donde sobresalen las composiciones. El ensamble suena realmente afiatado y el piano del propio Ablanedo jamás es intrusivo, despojado de toda pretensión de lucimiento personal. Un experimento con el himno nacional argentino le concede al album la nota avant-garde. Ablanedo susurra sus dos primeros versos y Ernesto Klar los procesa en su laptop junto a su aliento y a su saliva. La repetición obsesiva de la palabra libertad adquiere un efecto ominoso, ayudada por la orquestación electrónica. No puedo sustraerme a la incómoda sensación de que ese supremo valor que el himno reitera con tanta vehemencia parece cada vez más lejano. Por lo demás, Alegría trasunta desde el título cierto optimismo y un considerable fervor por la creación musical. Y debemos admitir que su entusiasmo es realmente contagioso. "La formación de octeto es algo bastante extraño de encontrar a día de hoy. El uso de los recursos necesarios para sacar a la luz un trabajo con esta formación, tanto a nivel humano (para la grabación y posterior promoción del disco) como a nivel compositivo, parece limitar mucho la producción. Pablo Ablanedo afronta el reto, a sabiendas de que cuenta con el apoyo y la impresionante actualidad de los músicos de Fresh Sound New Talent. Sirvan como ejemplo Ben Monder, Jerome Sabbagh, Taylor Haskins, Fernando Huergo o Chris Cheek. El resultado es impresionante: las sucesivas escuchas del disco consiguen ir desgranando poco a poco una fruta de sabor intenso, repleta de matices y sutiles cambios de forma. El violín de Jenny Scheinman se introduce como un cuchillo afilado entre la trompeta y los saxos en Alegría, y las notas de la guitarra de Monder quedan en suspenso sobre el colorido tapiz tejido por violín, piano, vientos y platos de batería. Una Más, Espíritu Mágico y La Vida Sigue son temas que impactan por cómo van girando, por cómo las melodías son abrazadas por todo el conjunto, y cómo éstas son interpretadas por uno de los solistas, y cómo la estela que éste desprende es recogida por un segundo instrumento, y así sucesivamente, hasta que todo el peso del tema se desploma sobre el suelo, sobre la trompeta, el piano o el silencio, y cómo éste vuelve a levantarse ayudado por el resto de arreglos orquestales. Como un témpano de hielo se erige sobre las demás composiciones El Grito Sagrado: la electrónica de Ernesto Klar y la voz susurrante de Ablanedo, recitando los dos primeros versos del himno nacional argentino, consiguen, además de asustar en el sentido literal, proyectar el concepto del disco. Alegría, en palabras de Ablanedo, es una alusión a la satisfacción que al autor le produce el poder crear música, al júbilo que encuentra en cultivar y cuidar ese pequeño rincón interior. El primer disco de Ablanedo, From Down There (FSNT, 2000) tuvo una estupenda respuesta de público y crítica, y quizás haya sido en el júbilo generado por esta respuesta donde Ablanedo ha encontrado la inspiración para componer y arreglar Alegría. De ser así, no alcanzo a imaginar qué magnitud tendrá el siguiente trabajo de este argentino. 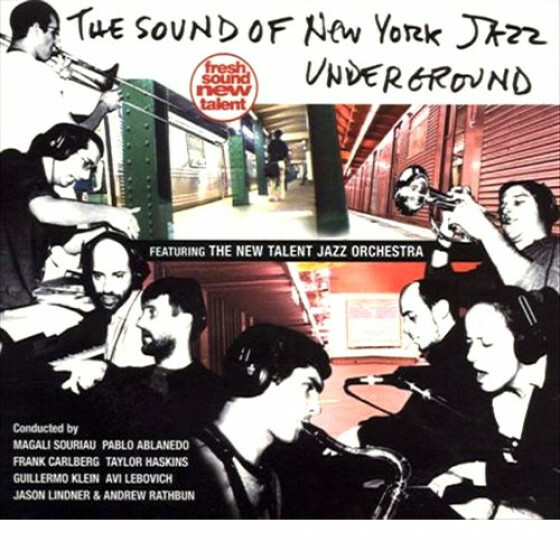 Algunos entremeses pueden ir degustándose con el trabajo de coordinación que ha llevado a cabo en la grabación y edición de The Sound Of New York Jazz Underground (FSNT, 2003)."